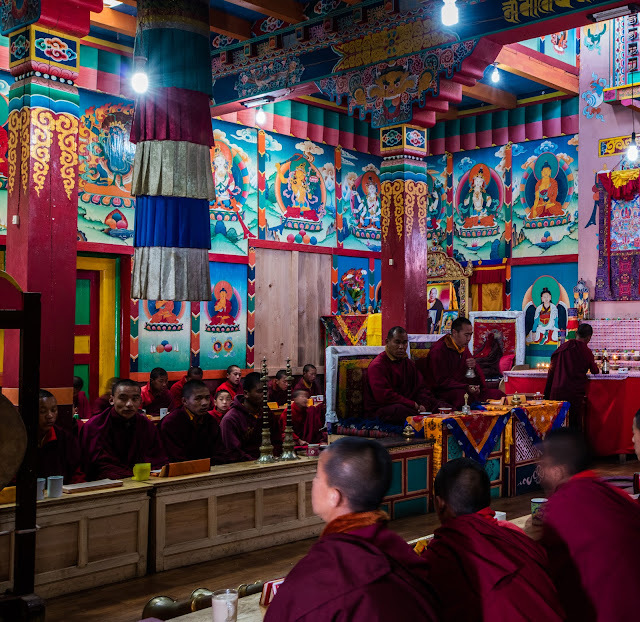 A few weeks ago I found myself sitting in the monastery (above) in Taksindu, Nepal. We were witnessing a "sang" ceremony which helps us remove obstacles in life. It was a powerful experience to observe something like this at all, but then something over-the-top happened. Throughout the ceremony everyone's tea would get refilled (this constant refill ritual knows no bounds apparently). At one point one of the monks just in front of me left his place on the bench to go make the tea rounds, and that's when I saw it; the exact same mug I had used for tea everyday in the office at Gnip (my old company). There's nothing fancy about the mug itself; it's a cheap "Made in China" thing. A friend gave it to me about a decade ago. I've seen a few of them over the years. I still have the mug, and it's gone through a few super-glue repairs, but I don't use it as much. I'm still deciphering the meaning of it all. 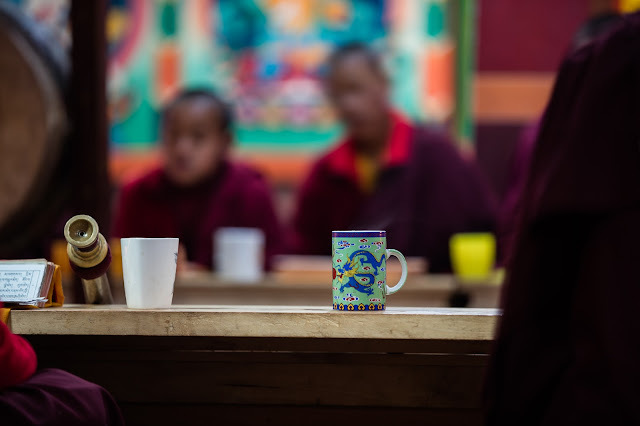 My mug, at an empty seat, in a Buddhist monastery, in a tiny mountain village, on the other side of the world in Nepal.